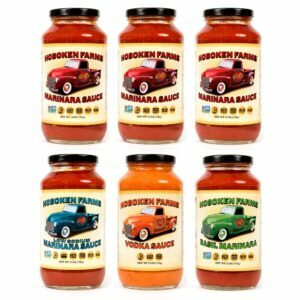 Now you get two of our award winning sauces together: Hoboken Farms Marinara and Hoboken Farms Basil Marinara Sauce! 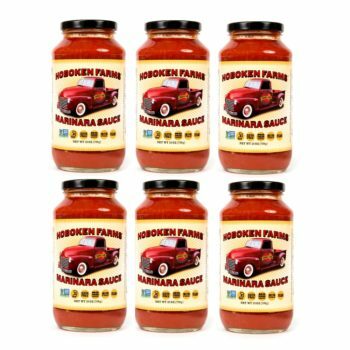 The 6-pack includes three jars of each. Want more? Now you can save $10 on each additional 6 Pack you order of the same flavor or variety pack! Increase the number in the quantity field and we’ll automatically recalculate your additional discount! 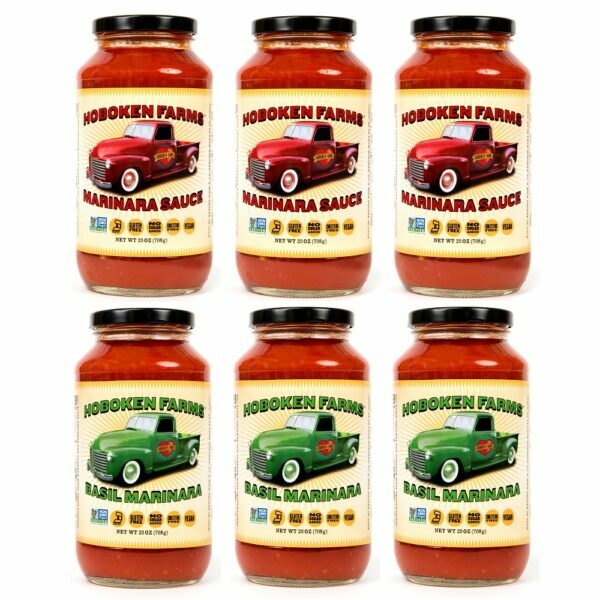 Now you get two of our award winning sauces together: Hoboken Farms Marinara and Hoboken Farms Basil Marinara Sauce! 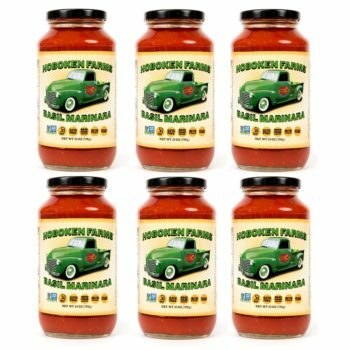 The 6-pack includes two jars of each. on Each Additional 6 Pack! Increase the number in the quantity field and we’ll automatically recalculate your additional discount!